There is SAP Ledger, New Ledger, and S/4HANA Universal Journal (which is also a ledger), but there is no SAP Hyperledger or is there one? As of this writing Bitcoin (BTC) is valued at about $6000, which is less than one third of its value at the end of last year — 2017, but about the same as it was a year ago. You might be wondering why even mention a depreciating token whose asset value is constantly disputed and dismissed by a large proportion of economic community or even what it has to do with Hyperledger? If you think that they are not related or that bitcoin is only one giant Ponzi scheme, then you can stop right now and not waste your time reading any further. If you have been following bitcoin, enterprise software like SAP, or ever worked with any financial system, be it computerized or as simple as balancing your checkbook, then you might want to read on. I cannot really explain what bitcoin (well, it’s not gold or even not like gold), Hyperledger (under the long shadow of IBM), or blockchain (hashed log of records that have been confirmed) really are, but I can try to explain why hyperledger is important for any SAP Consultant who has ever configured FI/CO module or Payments Workbench. I have been actively involved with those configurations in the past 20 years or so, and I still have a lot to learn, but I can also start spotting early signs of how SAP have been incorporating blockchain into their product mix and eventually opening it to the larger ecosystem. At the moment, SAP Blockchain has been pretty much limited to the paying beta corporate customers and the exact stages of those implementations are largely kept confidential for obvious reasons. One cannot help but notice that SAP have made a lot investments into this area, even if combined with such unrelated technologies as Artificial Intelligence or Machine Learning — all under the umbrella of Leonardo: (https://open.sap.com/courses/leo1). I expect some more branding changes before the blockchain technology becomes as mainstream as FI/CO used to be. From my point of view, what connects bitcoin and Hyperledger is the open source nature of both projects. They both rely on volunteer contributions of developers on github, stackoverflow, listservs, or any other communication platform of the Linux Foundation and under MIT License. 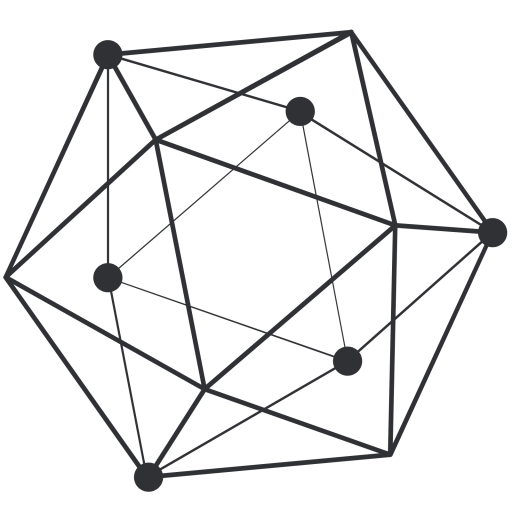 I could stop right here and just ask everyone to start contributing to either project like this one here: (https://gerrit.hyperledger.org/r/#/q/status:open) and that would be the end of it. However, we all realize here that there is this large install base of SAP ledgers, subledgers, material ledgers, or any other tables storing enterprise financial records. What about those ledgers, payroll tables, sales and purchase orders, distribution shipping points, project WBS and whichever module is customized to their limits and integrated with other non-SAP software products what constitutes today’s state-of-the-art ERP? Yes, what about them? How will they weave their tightly integrated relationships into another very tightly and ‘self-secured’ fabric of Hyperledger, if ever? As of today, there is no clear answer. There are blockchain API’s (https://api.sap.com/api/hyperledger_fabric) and there is Customer Influence around blockchain (https://influence.sap.com/sap/ino/#/campaign/1561), but I haven’t seen any journal entries for payments posted to a HANA database and validated on Hyperledger network. There could be prototypes and pre-sales demos, but nothing really that would match an open source project on github or elsewhere. There is a placeholder here: https://github.com/SAP-Cloud-Platform/Blockchain/blob/master/README.md but it does not seem all that active. Hyperledger channel or chat room or whatever it is called these days shows some signs of life: https://chat.hyperledger.org/channel/fabric. Heck, one can even spin their own cloud instance with open source linux box and have all the containers and explorers they may wish for built for the them according to this recipe: http://bit.ly/2ysbOFE. While waiting for SAP to open up their kimono a little bit more one can try help pages with videos and what have you: https://help.sap.com/viewer/p/BLOCKCHAIN_APPLICATION_ENABLEMENT but it is a little bit like learning to drive from reading a driver’s license test samples. You may read something and think you have understood it, but wait till the day of the exam to find out how far off you were. There is also an upcoming and official class, albeit in German, https://open.hpi.de/courses/blockchain2018 backed up by a long paper, but again it is still only a ‘manual’. Meanwhile, other companies thought it was to their advantage and try to have potential endorsers, peers, and network card holders go, try https://ibmblockchain-starter.ng.bluemix.net/api-docs/ and see for themselves what Hyperledger is and how they can make it their own. So, again is there an SAP Hyperledger or is there not? I think it’s a ‘maybe’, but I may be wrong. Disclaimer: I do not get paid by either SAP or IBM to post here and I may have inadvertently misrepresented a trademark or two, but this has been all in the open source and copy left spirit, so use this content at your own risk. Your comments, and there are no bad ones, here and on twitter are always welcome. Thanks for the research, Mark.